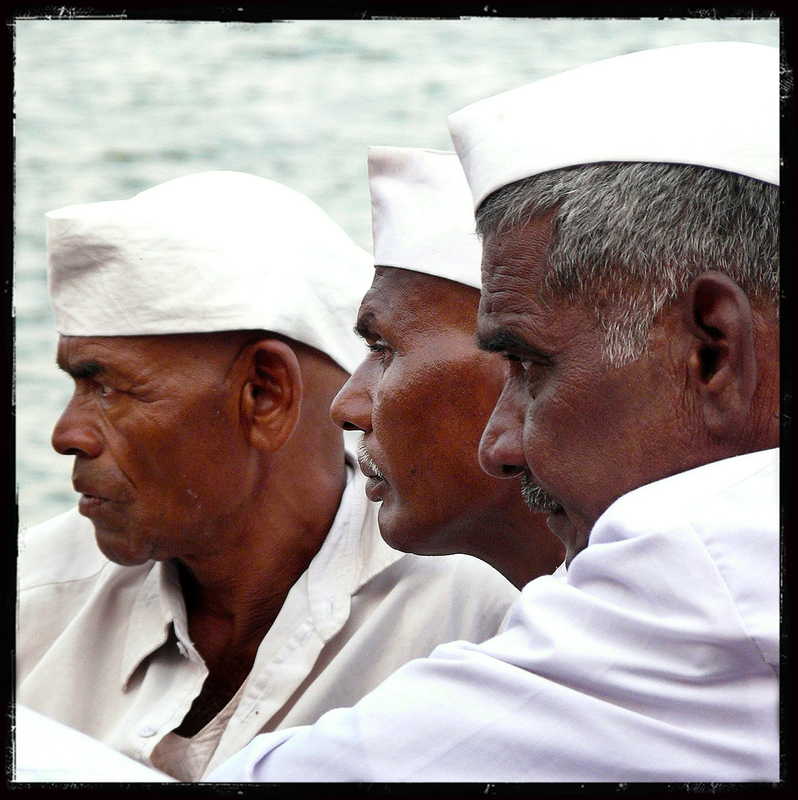 I am using this picture showing men wearing Gandhi caps along the Ganges in Varanasi (Benaras) as a dedication to Anna Hazare who was jailed in Delhi a few hours ago. Those caps are commonly worn by Indian independence activists and tonight many of his supporters are wearing it as a symbol of their fight. On August 16, 2011 Anna Hazare, an Indian social activists fighting for the noble cause of anti-corruption was arrested four hours before the planned indefinite hunger strike due to disagreement between Civil Society and UPA Government over a strong anti-corruption bill commonly called as Jan-Lokpal Billand and was sent to Tihar jail located in the west of New Delhi. Along with Hazare, other key members of the India Against Corruption movement including Arvind Kejriwal, Shanti Bhushan, Kiran Bedi and Manish Sisodia were also detained from different locations. It was reported that about 1,300 supporters were detained in Delhi. Earlier Shehla Masood, Anna Hazare’s supporter and RTI activist was shot dead in Bhopal. Anna Hazare received massive and unanticipated support from people across the country. Tonight peaceful protest rallies and marches were held all over the country against government’s move of arresting Hazare and others. This is an important page of the history of India which is happening now with the beginning of a new democracy. Anna Hazare became a symbol gathering any kind of people, from any part of the country, with any religion, from any generation and any social background. Anna Hazare is an inspiration to the whole world, he is giving a new meaning for politics and a hope for better tomorrows. Chinese invaders will not leave this land because this part of Himalaya has many valuable resources. An huge Highway is already reaching the hills destroying the ecological system. Those recent “riots” are one more oppportunity for China to try to get an hold on the Tibetan culture and to get a profit from this country. Unfortunately it is only an economic problem therefore if you want to support Free Tibet you can only boycot Chinese products. I took this picture at the Tibetan temple in Sarnath near Varanasi (Benaras) – India. The 18th of March 2008 I decided to upload it to my Flickr pages with the same words and then I couldn’t expect that it would lead to an huge polemic. Many comments of support to this cause were left under this image but also many comments from people who are in favor of the government of the People’s Republic of China. Those were adding links to videos made of political propaganda. I decided to answer to everyone with calm and restraint, however it was not always the same from my opponents, some even deleted their comments. 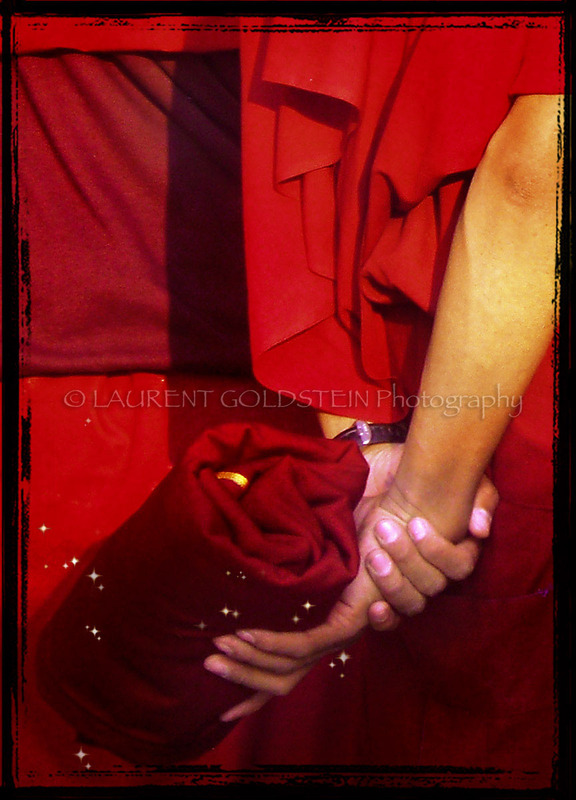 This image ended up in the press and then it became a political statement even if I was not aware of it at that time.